Odessans are lovers and traders, not fighters. Over 70 different nationalities reside in this major city-port. From the very childhood, they learn to co-exist peacefully and respect each other. This is a very colorful place and exceptional environment to enjoy life. This is where I was lucky enough to grow up. This is the city I love. 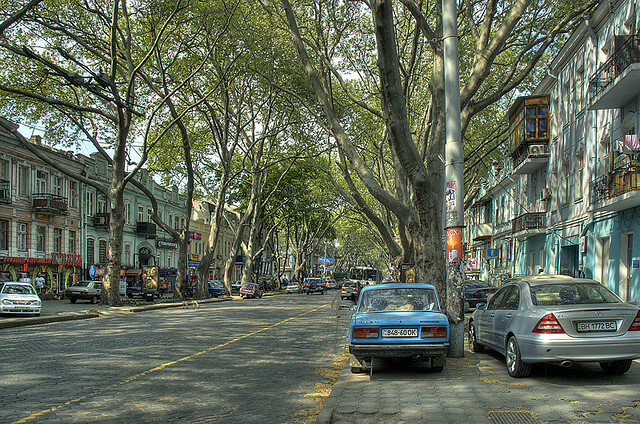 Pushkinskaya (Pushkin Street) with its prized southern trees, cobblestones and beautiful classic buildings. 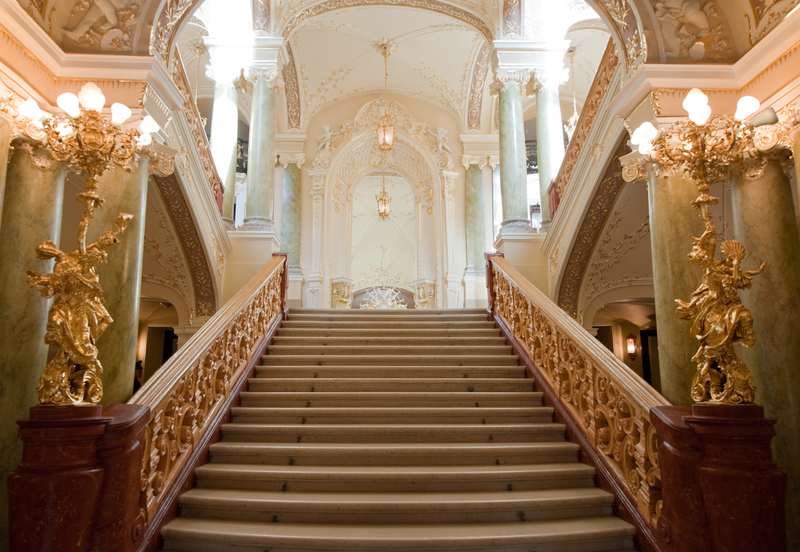 The child of the ambition and genius of the Russian Empress Catherine the Great, Odessa is a truly unique cultural and architectural phenomenon. 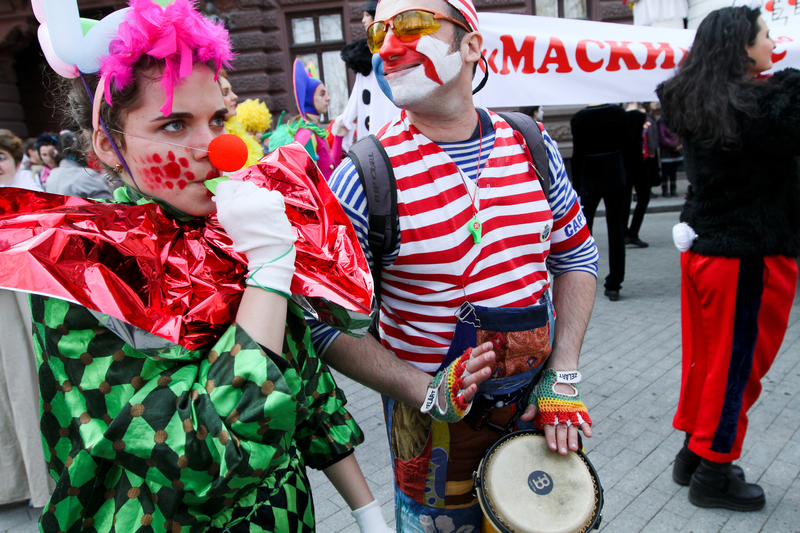 In addition to being a major resort, international port, plus educational & cultural center, it also was the Russian capital of humor during Soviet and the Russian Empire days. 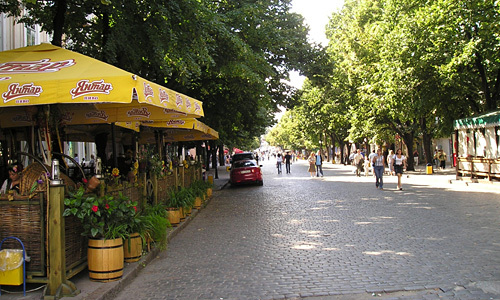 Although now, along with the Crimea, it is part of the Ukraine as a separate state (sad story – don’t ask), it still retains its status as a major international hub of laughs, and the special Odessa brand of humor is popular not only locally, but also in such places as Israel, Germany and New York. How was the Odessa humor born, you ask? Well, I have a theory on that. It is very possible that the humor gene was embedded in the city’s DNA at birth. Legend has it that when in 1795 Catherine the Great decided to build a splendid city on the Black Sea to become Russia’s first southern seaport, she dispatched a special envoy to the site of the former Turkish fortress Khadzibei, and now the newly acquired domain of the Russian Empire. The envoy’s name was Duke Richelieu. Yes, he was a Frenchman in service of the Russian throne. “But Monsieur,” objected the engineers and architects, who were crowding the hilltop next to him, “this is not a suitable place for a large city – there is no potable water!” Alas, that was a true statement. The nearest potable water source, the River Dniestr, was over 50 kilometers away from the city – not the best location for sure. Potable water shortage later became the city’s Achilles Heel in World War II when Odessa had to endure an excruciating siege, punctuated with extreme water starvation and heroic raid of the Red Army marines to get it flowing for a short period of time. That raid, commemorated in word and film, was the last thing the brave soldiers did in their lives, allowing the city to hold on just a little longer. Later Odessa was awarded the Gold Star of the Hero City for this event, as well as for the stoic guerilla resistance during the German Nazi/Romanian occupation, becoming one of the 4 original Hero Cities (more were added later). But back in 1795 our duke didn’t know any of that. He was driven by desire to please the Empress and by his vision of a perfect port. So, he raised his well-groomed and meticulously manicured hand and replied with what was to become an immortal phrase: “Assez d’eau,” meaning that there was “enough water.” He accompanied this phrase with an equally immortal sweeping gesture pointing at the sea water below in order to illustrate his point. 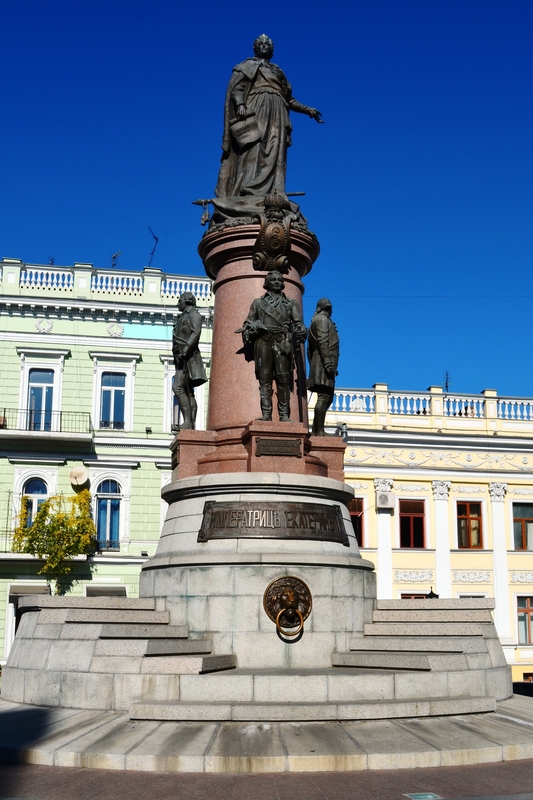 Monument to Duke Richelieu on Primorsky Boulevard, facing the seaport and Potemkin Steps. Part of the UNESCO World Heritage site. Long story short, the port and the city were built in record time. As to Monsieur Le Duc, the Odessans built a monument to their first governor in the same exact spot he stood when he declared that there was plenty of water around. 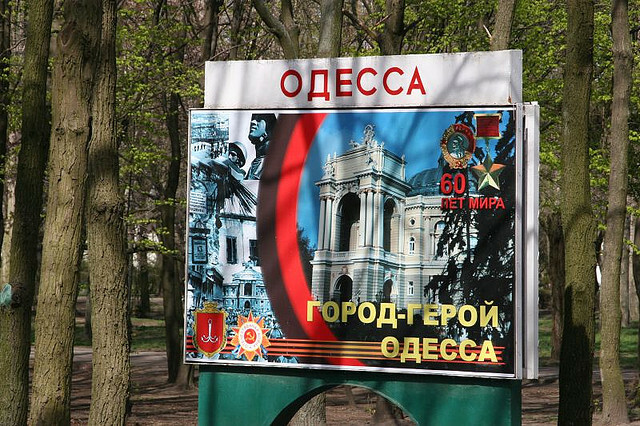 And as to the phrase… Well, the witty locals reversed it phonetically, and the French “assez d’eau” became Russian Odessa (Rus: Одесса). This was the day the famous Odessa humor was born. 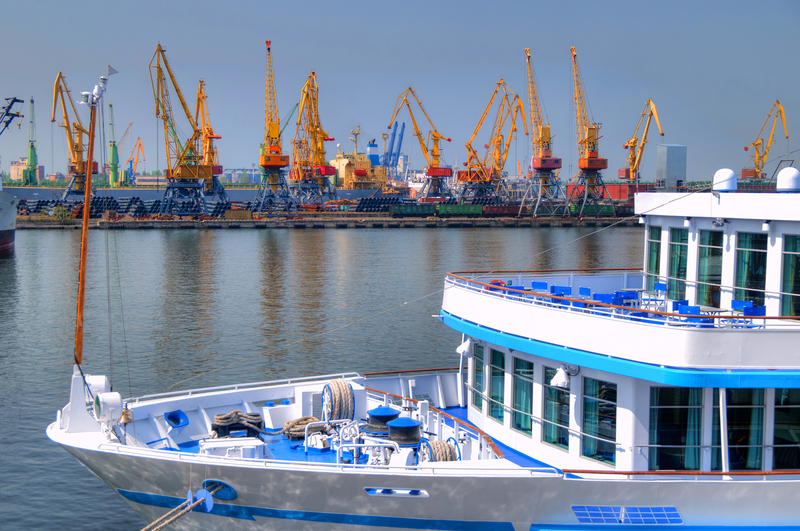 Odessa grew dramatically throughout the 19th century, becoming Russia’s 2nd largest (after St. Petersburg) seaport, the country’s only non-freezing port, and 3rd capital of the Russian Empire, after St. Peterburg and Moscow. 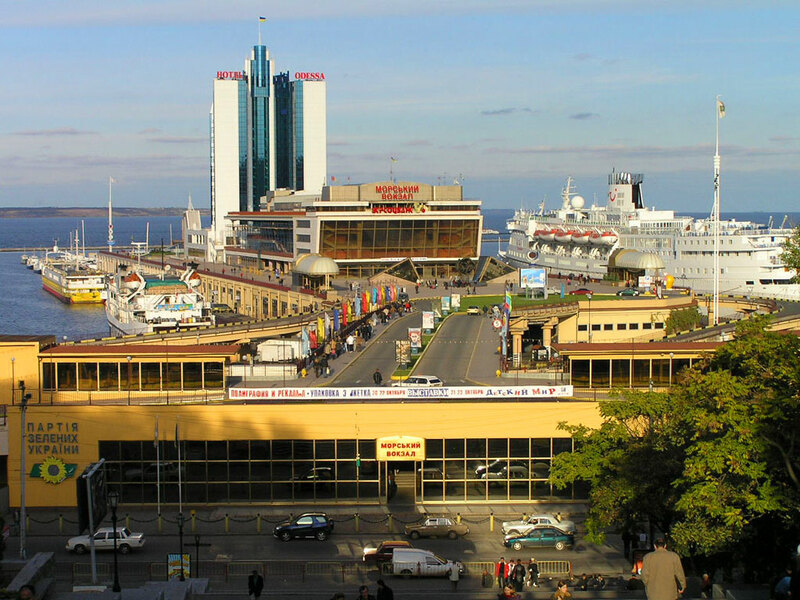 As a major international trading center, the city and its citizens became very wealthy. As a result, many magnificent buildings and monuments were built to showcase the city’s fortune and cultural significance. 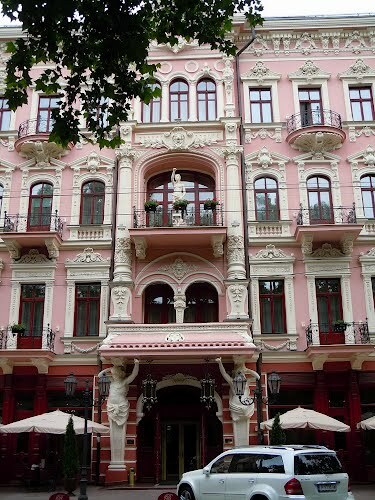 The architectural style of Odessa had significant Mediterranean influence, however, the Russian culture always was, and remains, the dominant culture, albeit with a unique multicultural Odessa twist. 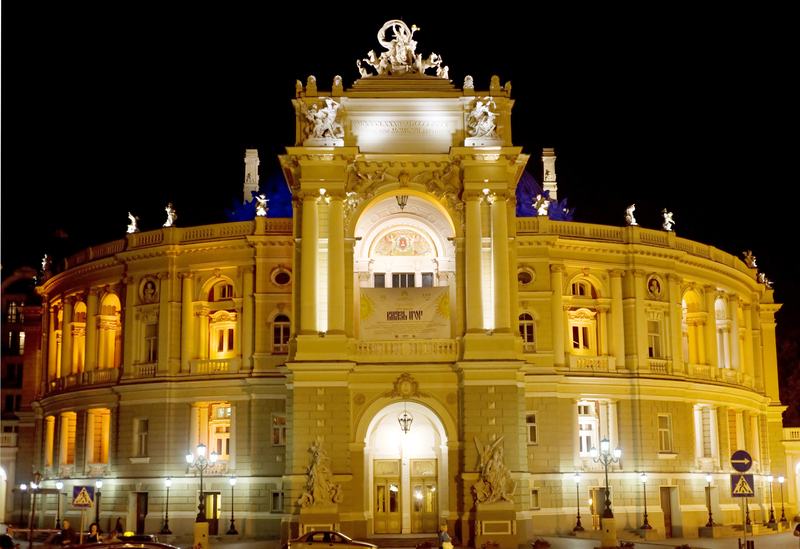 The spectacular Odessa Opera Theater located at – where else – 1 Tchaikovsky Drive. 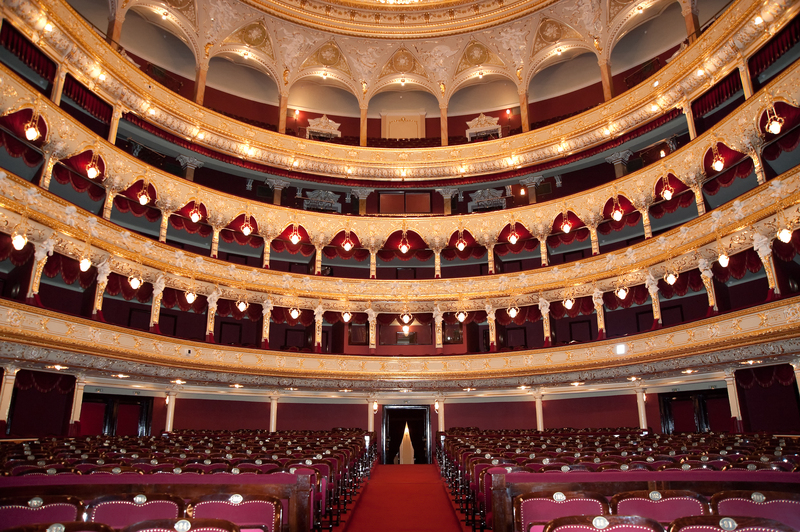 Inside Odessa Opera, considered the world’s most beautiful opera theater, along with Milan’s La Scala. 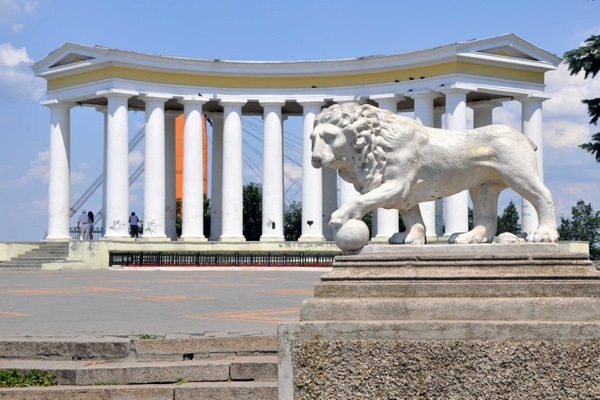 The entire center of Odessa, including the Odessa Opera, pedestrian Primorsky Boulevard, Potemkin Steps, the Seaport, its beautiful palaces, museums, as well as its two most gorgeous and famous streets, Pushkinskaya, and its principal street, pedestrian Deribasovskaya, together form the UNESCO World Heritage Site. 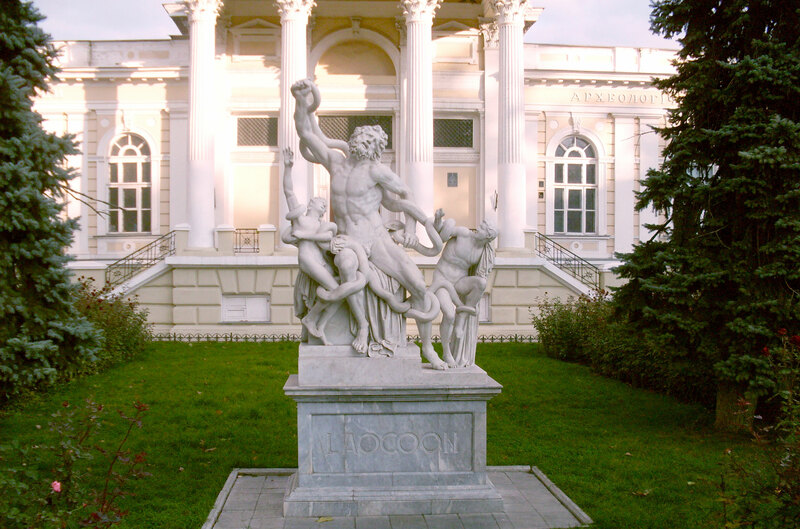 The exquisite Laokoon statue from the Ancient Greek mythology in front of the Odessa Archaeological Museum, part of the UNESCO World Heritage Site. 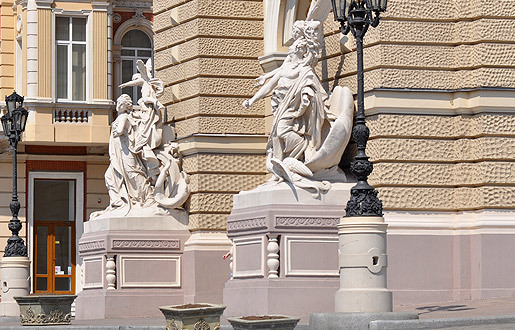 Odessa is a boon for archaeologists, as it was a Greek colony during the times of Ancient Greece, and to this day, the Greek population constitutes a tangible minority here, in addition to Russians, Jews, Ukrainians, Moldavians, Armenians, Turks, Serbs, Koreans, Germans, Chileans, Spaniards, Italians, etc. 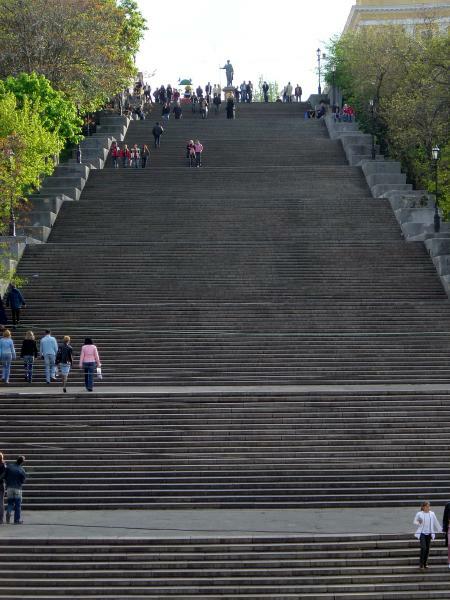 Potemkin Steps, or Potemkin Stairs (Potemkinskaya Lesnitsa) – also part of the UNESCO Heritage Site. 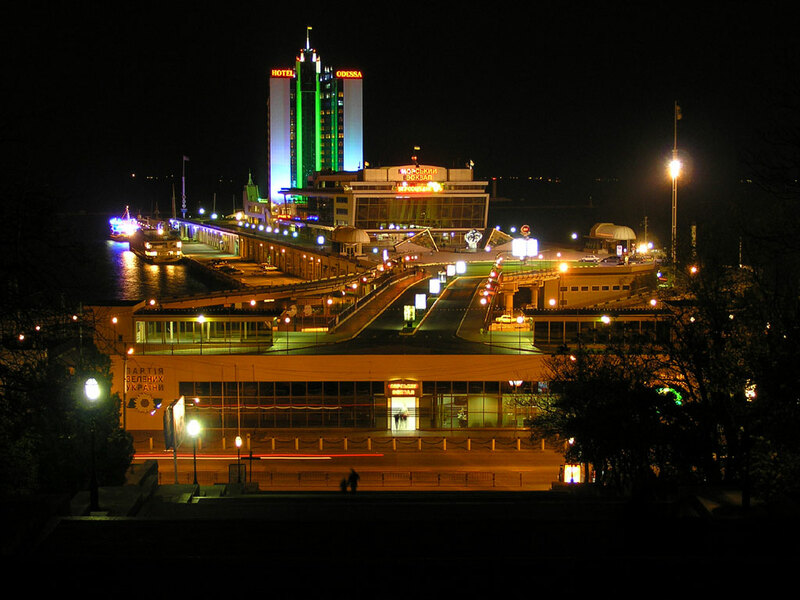 The Steps, leading to the Odessa Seaport, are distinguished by their superb architectural harmony and balance, and are considered one of the world’s highest stairbuilding achievements. 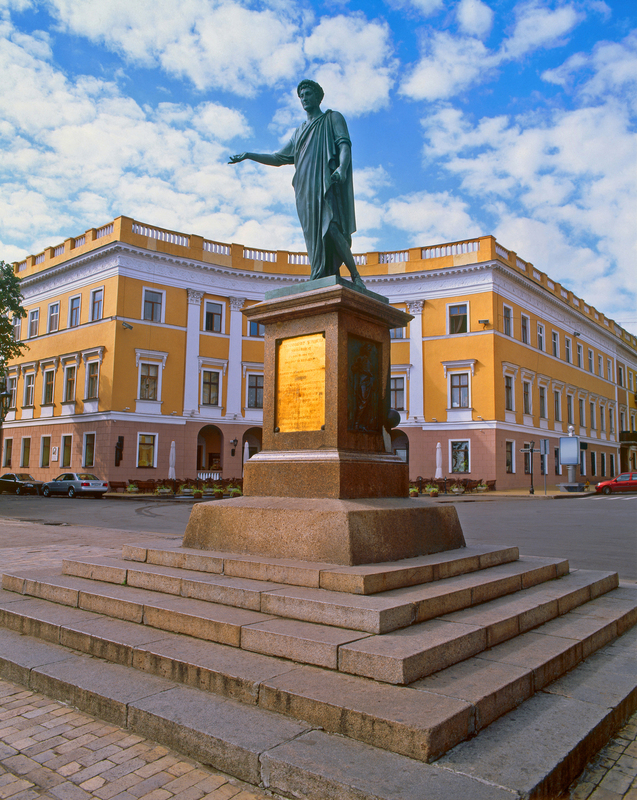 Odessa has been featured in many movies, the most famous of which is the silent film by Sergei Eisenstein, The Battleship Potemkin, declared one of the 10 most influential movies of all time. 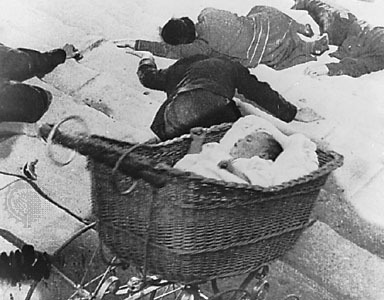 A baby crib going down the Potemkin Steps – the famous scene from The Battleship Potemkin by Sergei Eisenstein. Voted one of the most powerful movie scenes of all time. 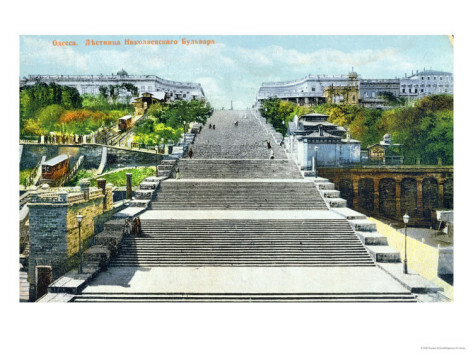 Potemkin Steps from a turn of the 20th century postcard. 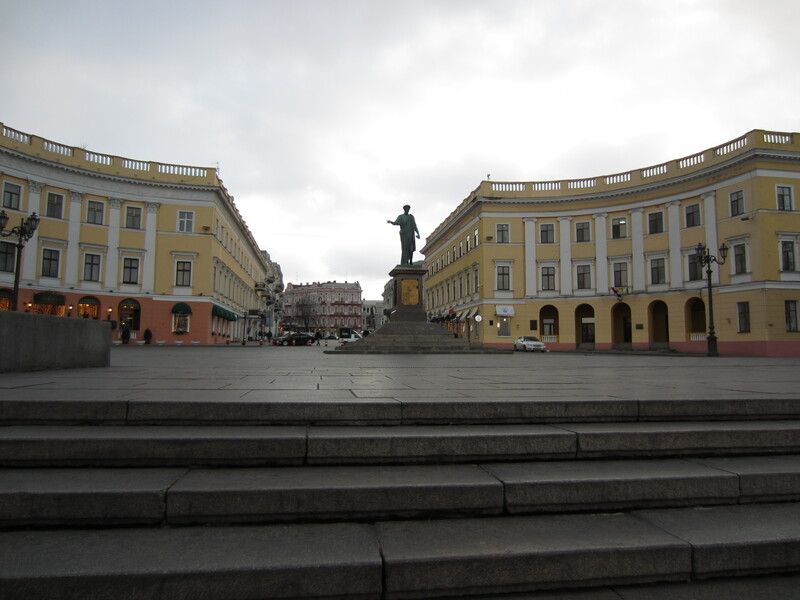 Before the 1917 Revolution, Primorsky Boulevard above was called Nikolaevsky Boulevard, after the Russian Emperor Nikolay II. 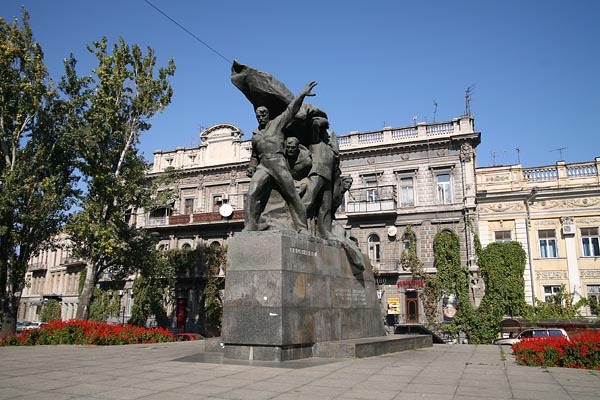 Monument to the Battleship Potemkin sailors located behind the Duke Richelieu statue, not far from the Potemkin Steps. Their uprising against the oppressive tsar’s regime gave start to the first Russian Revolution in 1905, and their story became the basis for Sergei Eisenstein’s film. Odessa Ratusha, the historic city mayor’s building at the beginning of Primorsky Boulevard, with its clock (center top), whose distinctive melody sings a tune from “Odessa, My Beloved City” – Odessa’s anthem, immortalized in film. 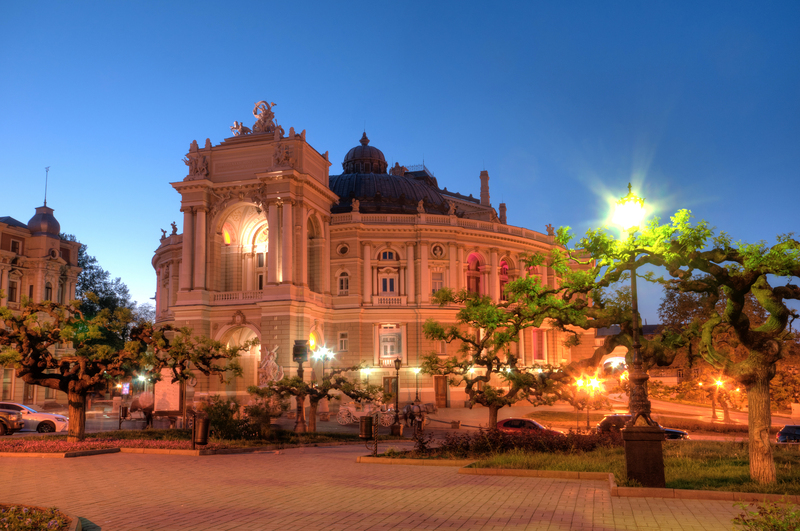 Odessa is one of those places that make you want to sing and dance. The unusually high number of lovely and famous songs have been written about this city. I’ve posted 3 of them below. 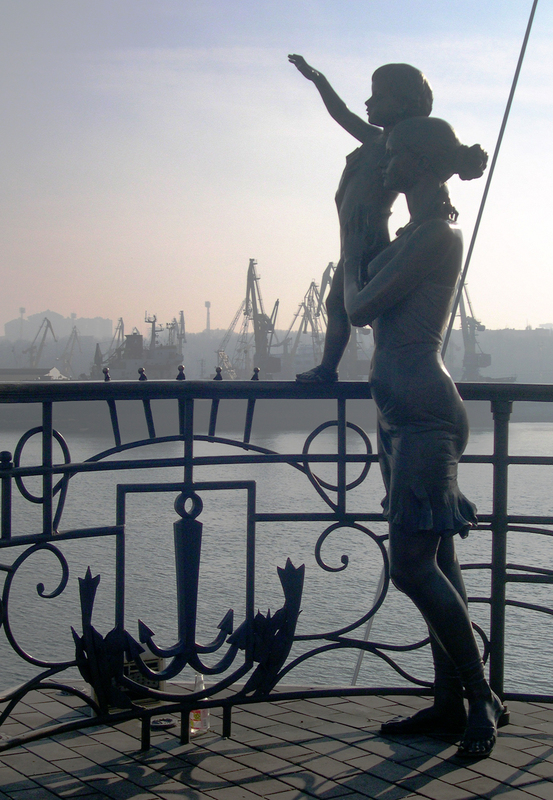 The clips also include some cool images of real Odessa. 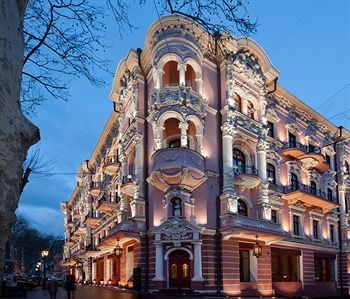 Odessa is endless and you can spend a lifetime discovering its secrets, yet in the end, still be surprised. There is so much more I can say and show… The second post will be about the sea, fun and some personally significant places I hold dear to my heart. Summer in Odessa is magnificent! Stay tuned! or Odessans of all countries, Unite! I love all these wonderful pictures. 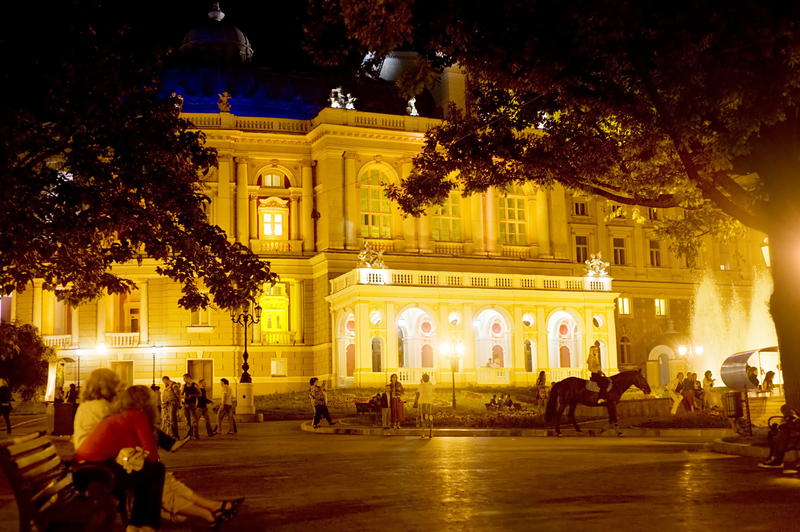 Odessa is a place I wish to visit one day. My Great Grandparents, although German, lived in this area before immigrating to Canada in 1911. Thye spoke fondly of Odessa. Although some have left to Germany and Canada at various times, there are still quite a few Germans living in the Odessa region, most are traditionally farmers in the sun-drenched southern steps. Generally, there are lots of Germans residing in Russia actually. I went to grade school with a couple of German-Russian girls. Odessa is one of the most international cities I’ve ever seen. That is what they were when they lived there, farmers in the southern steps. That is why they were able to adapt quickly to the Candain prairies. My mother is Ukrainian, so I have the blood in me haha. 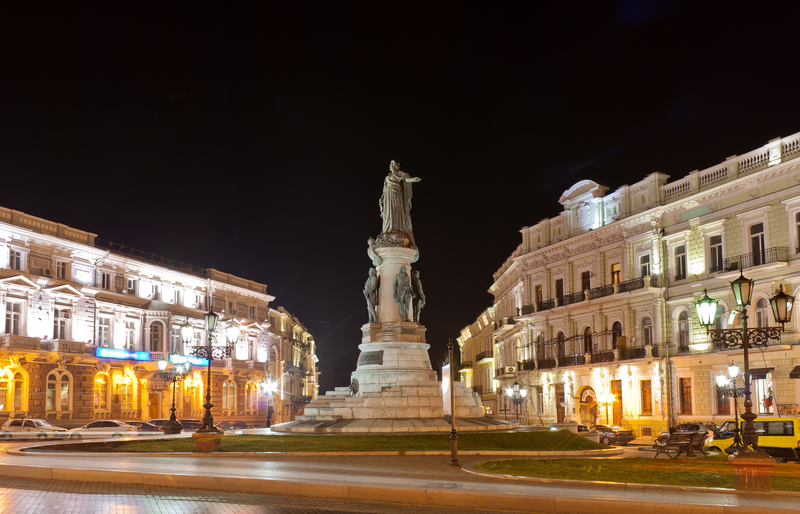 One day I’d so love to visit and Odessa looks stunning! Thanks for sharing Lada, brilliant post! My mother was Ukrainian too, and my father Russian. 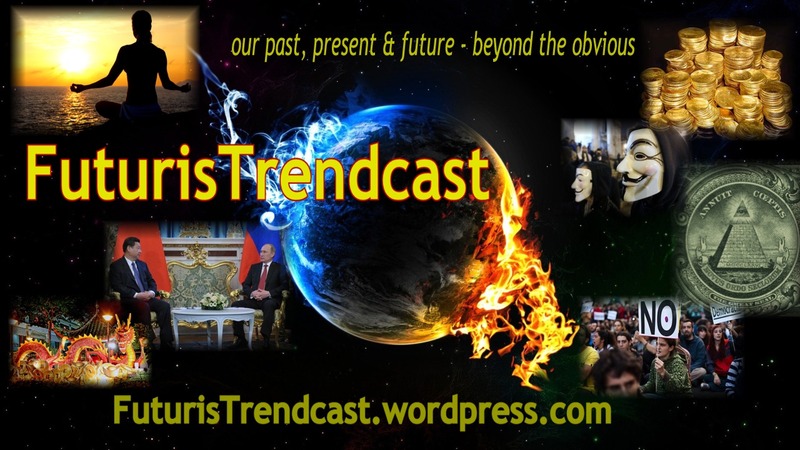 Pingback: Lada Ray: UN Petition to Stop Bloodshed in Ukraine by Engaging Russian Peacekeepers | 2012: What's the 'real' truth? Pingback: Lada Ray: West, Stop Bloodshed In Ukraine You Have Started! | 2012: What's the 'real' truth? Pingback: Lada Ray: Urgent! 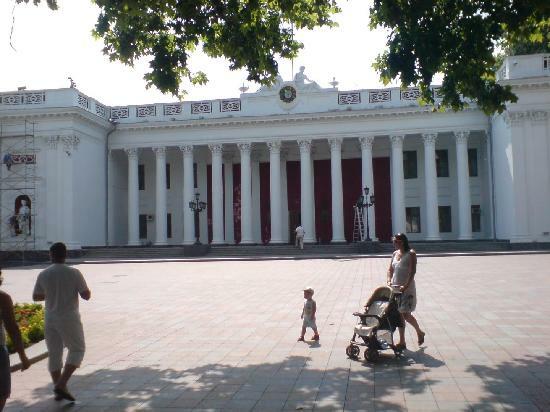 Ukraine Nazi Vandals Scheduled to Destroy UNESCO World Heritage Site in Odessa on 10/14!, october 13, 2014 | 2012: What's the 'real' truth?